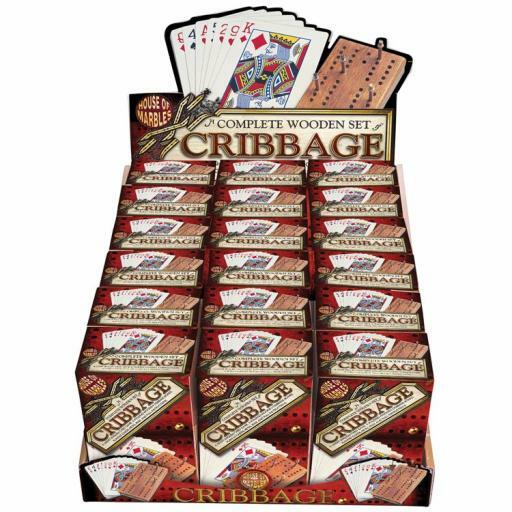 Cribbage is a very famous and addictive English card game. It involves a game of cards, and a wooden board and metal pegs are used to keep the score. The game apparently dates back to the late 17th century and has been entertaining people ever since. Our set is a handy, pocket-sized version with a folded wooden board, a pack of cards and scoring pegs. 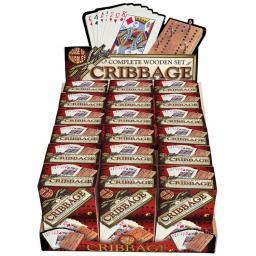 If you love travelling and taking your games with you, this Cribbage set is perfect for you.